This gives “cutting the grass” a new meaning. Miscanthus sinensis along the sidewalk in downtown Blacksburg, Virginia. Sheared into submission. Textbook “right plant, wrong place.” Miscanthus sinensis is tough, drought tolerant, creates a nice screen, and if the late-blooming cultivars such as ‘Gracillimus’ and ‘Morning Light’ are selected, has little chance of seeding all over. After a few years in place, most cultivars are as wide (or wider) than they are tall. 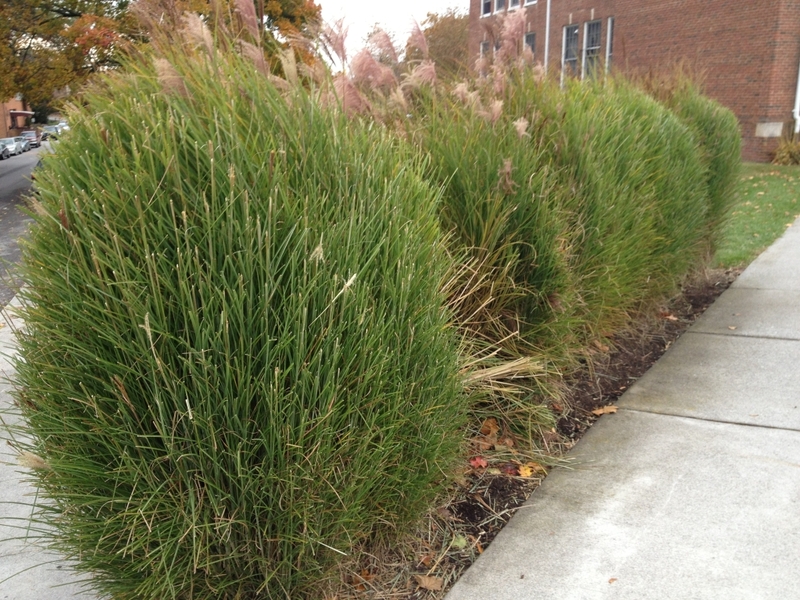 The lovely mounding/flowing habit is why this is the number one ornamental grass sold. 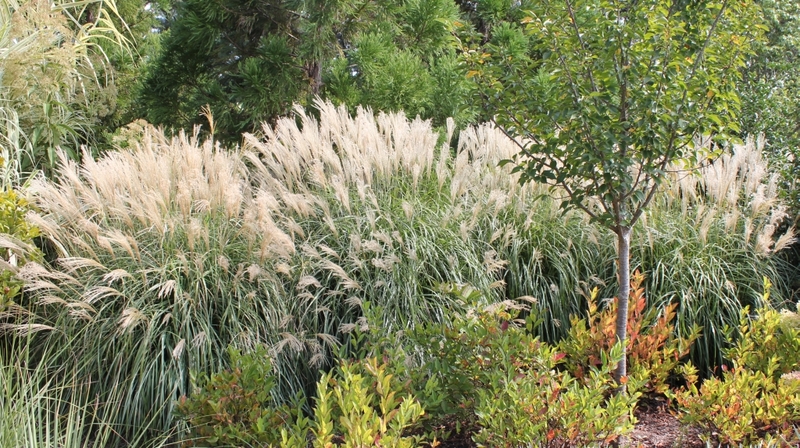 Mounded, rounded habit of Miscanthus as used at the Sarah P. Duke Garden (Durham N.C.). 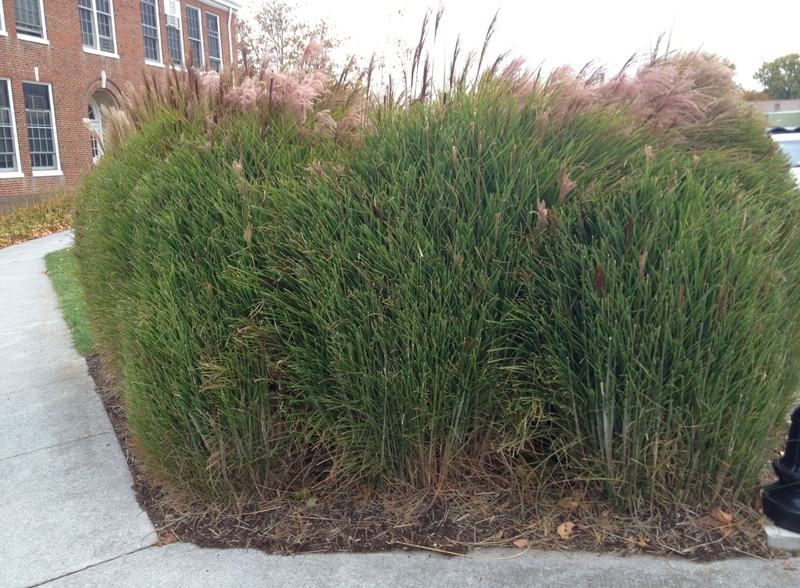 A better option – a very upright grass such as Calamagrostis x acutiflora ‘Karl Foerster.’ Regardless, this stuff needs to come out. Depending how long it’s been in the ground, a backhoe with probably be required. Or, they can continue carving it into a pillar. I have a neighbor who has two perfect, cylindrical columns of western sword fern. People cut…lilacs in this manner at my husband’s office. On top of that, they cut it in fall so the poor thing never blooms. Just take out the front row already. even along our snow-plowed road and is pleasingly architectural. This also makes for less mess at clean-up in spring.